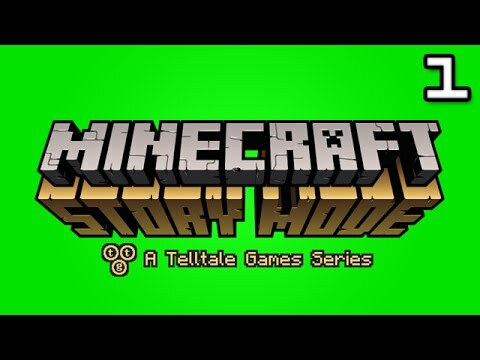 Minecraft: Story Mode is an episodic game series that depicts certain life topics that have recently been witnessed. It’s developed by Telltale games in partnership with Mojang. The game was first released on October 13th, 2015 for Android and iOS devices. This game allows the player to experience the original Minecraft game and story-telling aspects of the Telltale developers. There are five episodes of the game that are designed to thrill the players sufficiently. Minecraft: Story Mode is majorly point-and-click and text-based game that requires the player to be quick in his/her responses as they play. The game depicts the life story of the main character called Jesse. The character can either be female or male; it’s the player to choose. The story kicks off when Jesse, in the company of Axel and Olivia, visit Endercon when a huge event takes place. They find new friends, Petra and Lucas with Reuben, the pig. The group faces an enemy and they end up in the Nether and beyond from the over-world. The very first experience of craft a player gets is to make a sword. Afterwards, you are asked to gather a stick and two stones. Minecraft: Story Mode has four main aspects. Short puzzles, quick-time events, narrative choices, and exploration. For most the most part of the game, the player watches the unfolding story before him/her. You’ll have to make quick decisions fighting not to be caught up with time. If the time runs out on you, the next step of the game and what each character remembers is affected. Of course, this is the nature of most Telltale games. Every once in a while, you’ll be involved certain in puzzle-solving tasks. During the game, you’ll also be able to pick up random objects and elements. These will be useful later in the game. For example, you may need to pick up some rocks, sticks and a string. With these, you can create an arrow and a bow to help you to cross over obstacles. To allow for the experience of the open world of Minecraft, parts of the game allows for exploration of the map. As you walk around, you can be involved in activities such as searching for items that are lost and picking up objects, among other activities. The game has a series of five episodes in each season with different interesting storylines. The game features a few short puzzles that a player takes part in solving. Ability to solve these puzzles makes it possible to go through the game from one stage to the next. There are lots of narratives that each player can choose. You pick on the one that interests you and start playing along with the storyline. Along the way, as the story unfolds, there are quick-time events that you’ll experience and take part in. There is the exploration feature from the Minecraft open-world. You explore the world as you gather items that may be of use to you.